Public pools. Gyms. Resorts. It's common to see "no tattoos allowed" signs at establishments like this. In Japan, there is certainly a stigma towards tattoos. But why? 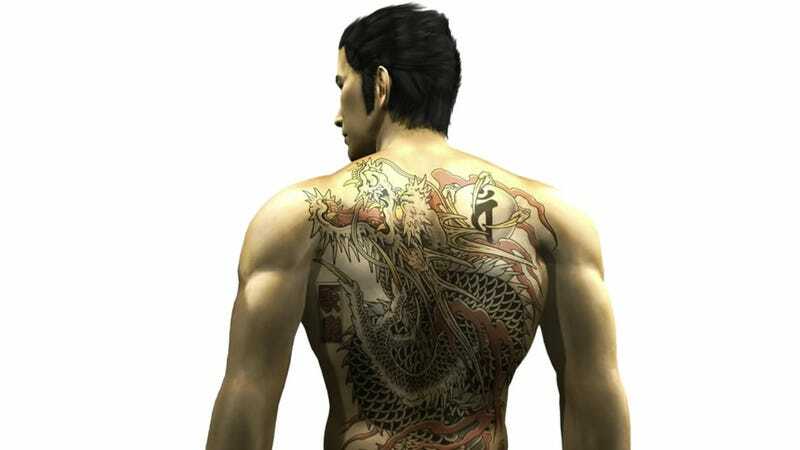 The easiest explanation, of course, is that Japanese gangsters (the yakuza) traditionally mark their bodies with tattoos. But not everyone who has tattoos in Japan is in organized crime. Regular folks have them. Celebs, too. Some have them for the same reasons that people do in the West, whether that's fashion or simply because they are interested in body art. And this stigma isn't a recent phenomenon. Japan has had a long tattoo history. As The Japan Times points out, there's a theory that tattoos were important in the country's Jomon Period (10,000 B.C. to 300 B.C.). There isn't any physical proof that the Jomon people tattooed themselves; however, a Chinese historical record written at around 300 A.D. said all Japanese men tattooed their faces and bodies. This history is marked by a love-hate relationship: In the 17th century, for example, criminals were tattooed to blatantly mark them in shame instead of punishment through mutilation. As VanishingTattoo points out, some criminals even had the Japanese for "dog" (犬) inked on their foreheads. During the following century, however, tattoos became fashionable. However, tattoos were banned in the mid-to-late 19th century as the country opened up to the outside world. The fear was that the custom might seem primitive to foreigners or mocked abroad. The Japanese government saw tattoos as "barbaric" and certainly not part of their program to modernize. It wasn't until after World War II that the legal prohibition against tattooing was lifted. By then, the stigma had once again set in. Recently on 2ch, Japan's largest forum, there was a thread on why Japanese people were against tattoos. As mentioned above, there are many regular folks in Japan who aren't! However, tattoos are far more of a rarity in daily life in Japan than abroad. Via 2ch, here are some of the reasons why tattoos aren't accepted in Japan. As these are forum comments, take them for what they are: forum comments. However, the sample of comments, which range from negative to positive, might provide an inside look at how some in Japan view tattooing. "There's a long history of them being proof people are criminals." "Tattoos were used to identify criminals." "For a long time in Japan, tattoo has equaled 'yakuza' or 'hoodlum.'" "Even among foreigners, gangsters and bad dudes getting inked is cool, but when normal people do it, it's lame." "In Europe, tattoos are a working class thing." "I think you all don't get it. They're fashion. People like you in dorky clothes are far more unpleasant." "Girls who get inked are cool, and that's why I like them." "If you go to Shibuya, tattoos are normal." "I heard you cannot get an MRI if you have a tattoo. That true?" "If you get a tattoo, then you cannot get a MRI, and then you can't detect cancer early!" "Those who showed their tattoos to your parents, what reaction did you get? Did they cry?" "It's come to this because there are lots of idiots with preconceived notions who think that tattoos equal scary. The majority of Japanese, with their preconceived notions, are quivering cowards." "Tattooing is part of Japanese culture." "The color (of tattoos) is dirty. The only thing it resembles is moss." "People are free to do what they like, right? I don't have one, though..."
"When ever I see tattoos show up in pornos, I go limp." "More than tattoos, I hate people who hide the tattoos they had removed." "Abroad, having a tattoo is proof you were in the military. In Japan, it's proof you are low class." "It's fine if people want to get them. Just don't put them out in front of others." "Because in Japan, if you're not respectable, you're a criminal." Before someone in comments posts it, here is the MythBusters episode on tattoos and MRIs. Note: If you have tattoos and are planning on visiting Japan, you might run into problems at, for example, hot springs and public pools. Either cover your tattoos with bandages or band-aids (if possible!) or rent rooms at hot springs that come with a private bath. For business trips, unless your work is connected to the arts, it might be good to discretely cover your ink (if possible).